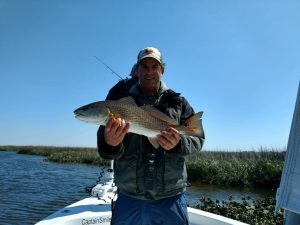 Inshore water temperatures on the north end of the Grand Strand have dropped into the lower to mid-50s, and with mild air temperatures/ improving clarity this is one of the most pleasant (and productive) times of the year to fish the Little River area. 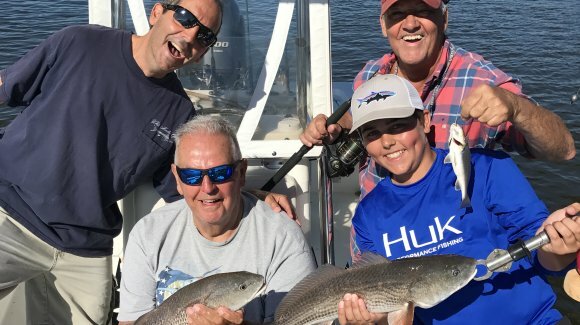 The trout bite continues to be outstanding, and Captain Patrick “Smiley” Kelly (843-361-7445) reports that most of the fish are keepers in an impressive 15-20 plus inch range. 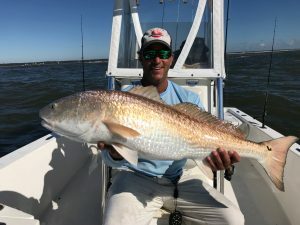 The fish bite better on moving tides, and current running along the ledges in 6-8 feet of water offers the best conditions. 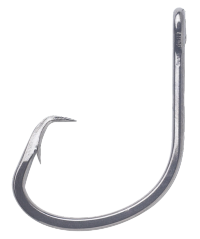 An assortment of artificial lures have been working well, with Vudu Shrimp probably the best and most popular right now but Gulp!, Zman, Trout Tricks and other baits also working. Of course live shrimp will also produce, and some fish are still being caught on top on Spooks. 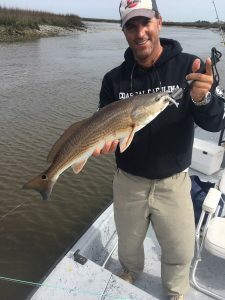 When anchored up and casting at a spot drifting live shrimp behind the boat in the current is working. 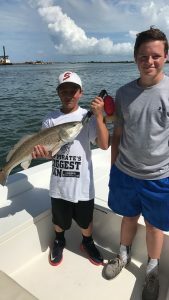 There are also plenty of black drum being caught along the ledges on the bottom. 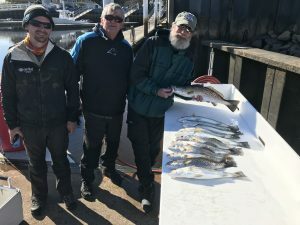 They are eating shrimp, and some small, undersized sheepshead are also mixed in. 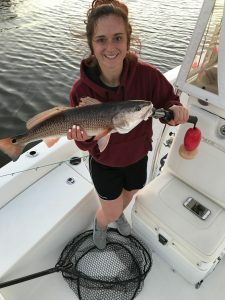 Occasional redfish have been mixed in with the catch, and most of these have been over the slot. 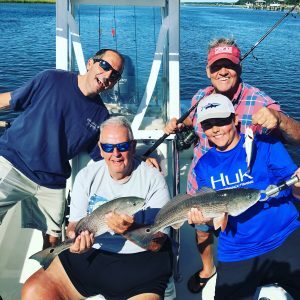 They are usually being caught in shallow water on the bottom with live shrimp or live mullet. 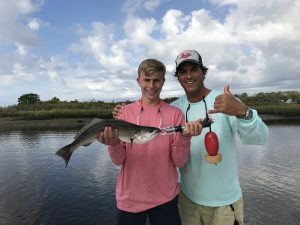 The Little River Inlet jetties have also been a hot spot on the outgoing tide for spottails and black drum. Lots of small flounder, mostly undersized, have been caught on ¼ ounce jigheads with Gulp! 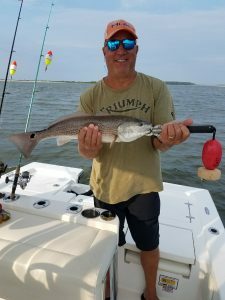 curly tail grubs and Vudu Shrimp.